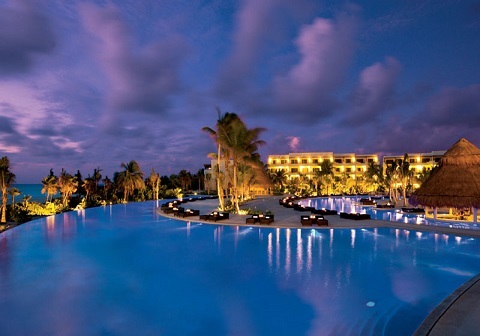 Secrets Maroma Beach Riviera Cancun beckons along a shoreline recognized as a ‘World’s Best Beach’ by the Travel Channel. The Unlimited-Luxury® experience begins with 24-hour room and personalized concierge service. Gourmet cuisine and unlimited top-shelf spirits are served at nine dining options and seven bars & lounges. During the day lay out by an expansive infinity pool, enjoy complimentary greens fees nearby or relax at the 13,000 sq.ft. Secrets Spa by Pevonia®. At night, exciting entertainment awaits. The Unlimited-Luxury®experience continues with Unlimited Connectivity, offering free Wi-Fi and international calling to the U.S., Canada and Mexico. This AAA Five Diamond resort boasts over five hundred acres of lush paradise and is exclusive to adults. Escape for five nights to the intoxicating Riviera Maya, Mexico. Indulge in daily Yoga Sculpting, mindful walks along the shore, diamond meditation, Restorative Yin Yoga, Reiki healing, and personalized aromatherapy. Together enjoy the warmth of the sun, the waves, the reefs and the natural wells on the Caribbean coast. The days are yours so If you want to enjoy the warmest sun, the waves, the reefs and the natural wells on the Caribbean coast. Secrets Maroma Beach is conveniently located near a vast network of underground rivers and eco-adventure sports including mountain biking, scuba diving, trekking, bird watching, deep sea fishing, Mayan archeological sites, world renowned golfing as well as some of the best shopping and gourmet dining the area has to offer maroma beach is one of the best destinations for diving and snorkeling. On its shores lies an extensive coral reef, home to a vast variety of marine species. If you are lucky enough to submerge in the Caribbean waters, you will find yourself surrounded by tropical fish, stingrays, and even the fascinating whale sharks. 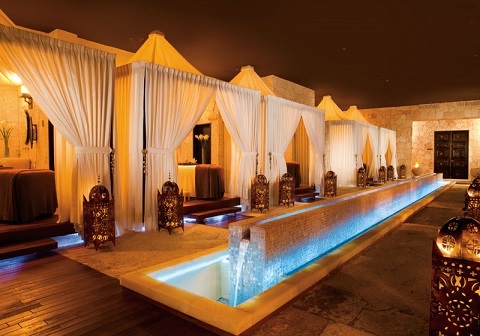 Everyone will have the opportunity to Relax and Renew with a complimentary massage in the Secrets World Class Spa. PRUE CALM - MAROMA BEACH, MEXICO Nurture your body, mind, and spirit, to a state of Prue Calm. 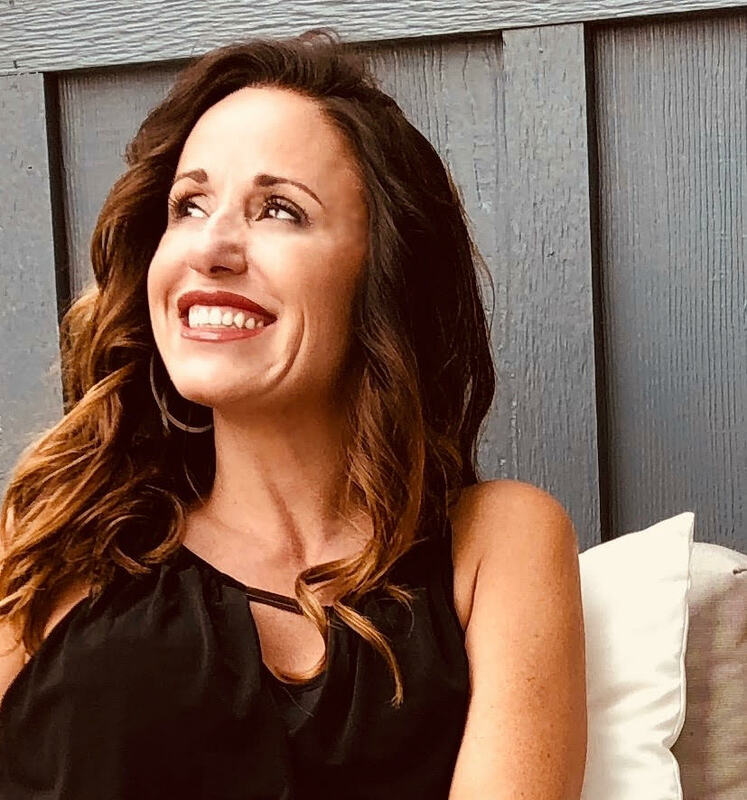 Heather Tharpe is an expertly-trained, highly-regarded Senior Yoga Instructor, Intuitive Life Guide and visual artist. Heather founded Hope Yoga in 2002 with the goal of drawing everyday people to yoga. Heather’s Yoga training includes Ashtanga Yoga, Hatha Yoga, Iron Crow Power Yoga, Anusara Yoga, Kali Ray Triyoga, Kundalini, Meridian Yoga, Thai Yoga Massage, Pre/Post-Natal Yoga, Yogafit L3, YogaButt, Yoga Core, Yoga for Cyclists, Yoga Strength, Children’s Yoga, Flexible Strength, Mat Science, TRX, The willPower Method, and Reiki. *Transportation Fees- **if booked with Early Bird Pricing. *Two Yoga Classes Daily. Some practices will be on the beautiful Riviera Maya Beach.